If you’re like most Americans, your wedding is probably the biggest event you’ll ever plan. You want it to be a true reflection of your love, you want it to be a great party, you want to rent a wedding photo booth to capture all the great memories! But you’ve probably never rented a photo booth…you don’t even know where to start. Don’t worry, the experts are here to help. Here are 5 pro tips for renting a photo booth for your wedding! Video messaging is a super cute feature for recording memories at your wedding. Chat with your event planner to make sure the photo booth is not in the direct line of sound with your DJ or band, so that the music doesn’t complete with guests leaving your sentimental messages. Cocktail hour is a great time to start the photo booth so your guests have something to entertain them while you take photos. Leaving the photo booth on during dinner can be a great option, too. You’d be surprised how many people use it while everyone is eating. Check with your caterer; they are a great resource to find out if you can leave the photo booth on, or if they prefer to turn it off during dinner. 95% of our clients book their wedding photo booth for at least 4 hours to ensure all their guests have plenty of time to use the booth. You don’t want anyone to miss out on it because they were too busy dancing. 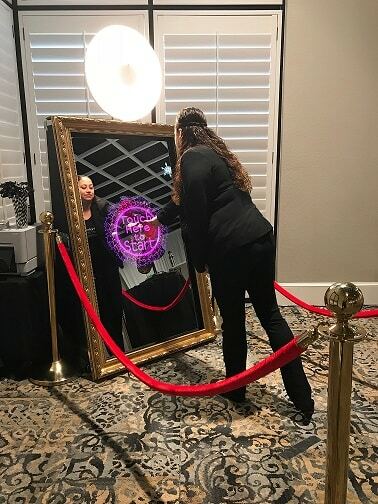 Our new mirror photo booth is a beautiful take on the traditional photo booth and it blends seamlessly with your existing theme and decor. (Harry Potter wedding, anyone?) The touch screen is a cinch for smartphone users and frankly, no one can keep their hands off it! Photo Booth Rocks is Orlando’s favorite photo booth rental company. It’s time for you to find out why! Learn more about our photo booth styles, availability/pricing, corporate photo booths or just about us! We can’t wait to meet you and capture unforgettable memories at your wedding! Kristin, I like the idea to have your rented photo booth available around cocktail hour. My fiance and I have been planning on finding a way to make our special day memorable for all of our invited guests. I definitely think that we should rent a booth which could act as a favor that all of our guests could take home. 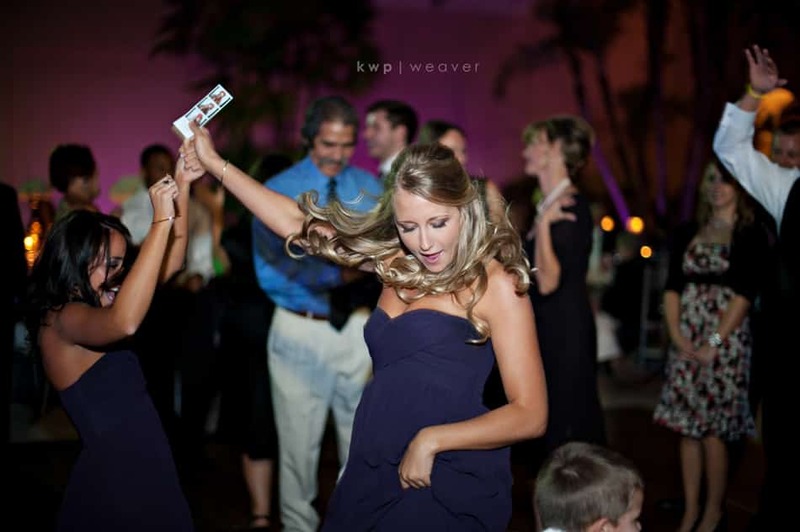 We have a photo or party booth rental business located in the greater Phoenix, Arizona area and your article on “5 Tips for Renting a Wedding Photo booth”, was spot on with the information you talked about. I believe you offered up some real life tips when people are thinking about renting a photo booth for their wedding or any event for that matter. What we have discovered, as I’m sure you would agree, whether it’s a wedding or some other kind of event we are in the memory creating business. Let’s be real here, like your article is, it doesn’t matter if it’s a wedding or some other event Photo Booths create memories in the minds of their guest…this was a well written article emphasizing amazing reason to have a photo booth at your next event…if they want to create some memories for their guest. I think you touched on a great point how you want to book a photo booth with plenty of time to ensure your guests all have a chance to use it. My fiance and I were thinking a photo booth could be add a great touch to our wedding this fall. Would you suggest we get a tally of how many people we’re expecting at our wedding before deciding how long to rent it for? My wedding is in three months and I have always wanted to have a photo booth area for my guests and me to use and enjoy. You mentioned that when you rent a booth it is important to keep it classy and have fun accessories that you can add on to make the night even more special. I will have to keep that in mind when searching for a place to rent a booth. Thanks for such a wonder and helpful tip. Great blog as we must know what we are looking for to get everything fall in places. Very nice tips to rent a photo booth.The article is very nice and also well written. The tips are really helpful. Thanks for sharing such a good blog.